The RPM is a small cadence sensor which you can easily mount on your crank or shoe. 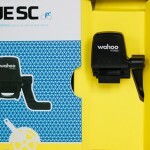 The benefit is quite obvious, you can use it on any bike and take it with you when you go on a holiday. Mounting is as simple as can be. The downside? You don’t get speed, but all the apps and computers I know that use GPS calculate your speed from GPS anyway. So why would you need a sensor on your wheel? Technically, yes, a sensor on your wheel is more accurate, especially if you set the exact circumference of your wheel right. But that takes a tape measure and five minutes and I don’t think anybody ever does that. I’m not even sure if some of the latest computers allow you to set your exact circumference other than just something like “25x700c”. So as your average cyclist or triathlete, what do you actually lose? After you’ve opened the package you’ll find a couple of items. Firstly the RPM itself. You’ll also find a hard mount, a soft mount, two double sided self adhesive stickers, tie wraps, a mystery metal thingy and a quick start paper. Being a good citizen I immediately threw out the quick start paper and tried to figure out how it all worked by myself. Which is pretty straight forward. There isn’t much glamour is photographing the device. It’s small, simple and pretty straight forward. You have several options to mount the RPM, either on your shoe or on the crank and one more definite than the other. Use the self adhesive tape and slam that thing right on the inside of your left crank. Simple, straightforward and pretty permanent (you can get it off, but then need new tape). Just make sure your crank is squeaky clean, but it should be, because you wash your baby after every ride, right? Use the silicone mount with tie-wraps. 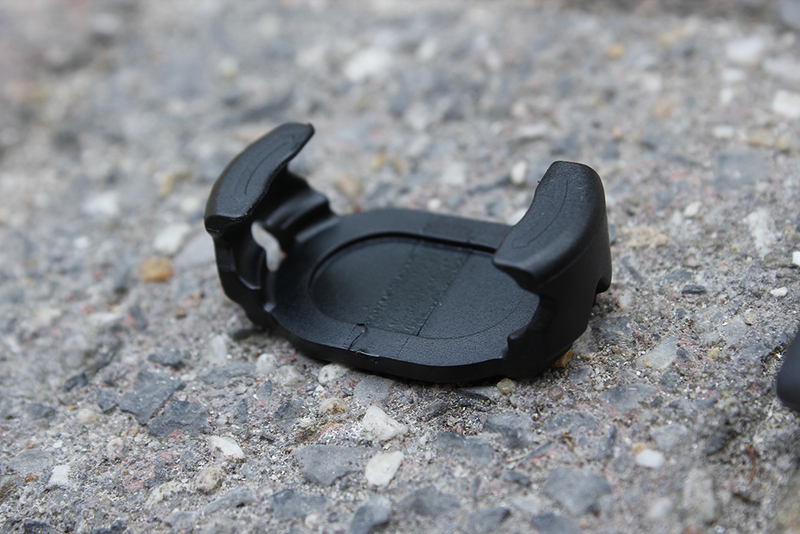 Using the silicone mount allows you to pull the RPM out in a later stage and use it with the hard mount on your shoe. Note that you need to have the sensor like this, not in line with your straps, as the gyro can then not measure the movement. The RPM supports both ANT+ and BlueTooth 4.1 so it can connect with just about any computer, phone or watch available. 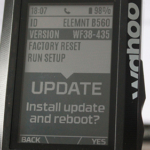 You just have to make sure your device or app supports cadence (for apps double check with Wahoo if it works). Setup is easy, when the RPM is activated it will start blinking, the red led will indicate it’s detecting motion and the blue will indicate a device is connected. 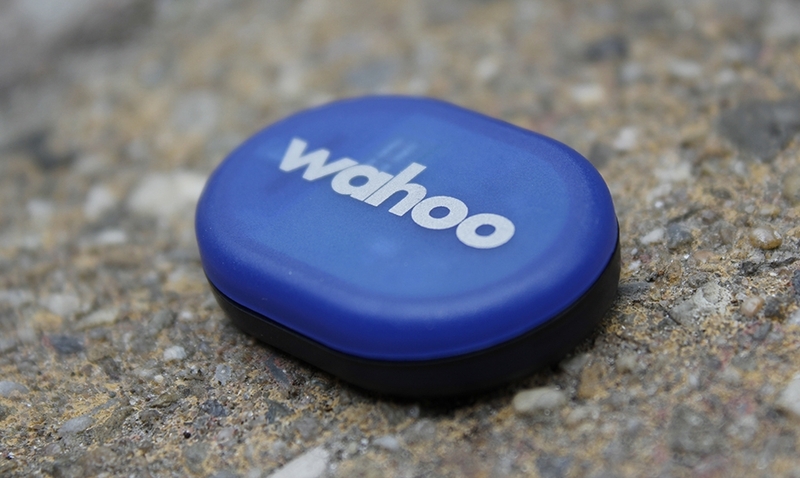 You can test this yourself with the Wahoo Utility app, available for free for both iPhone & Android. Finally the mystery item comes to use! The battery is a common one, the CR2032, which you’ll find in most cadence and speed sensors. 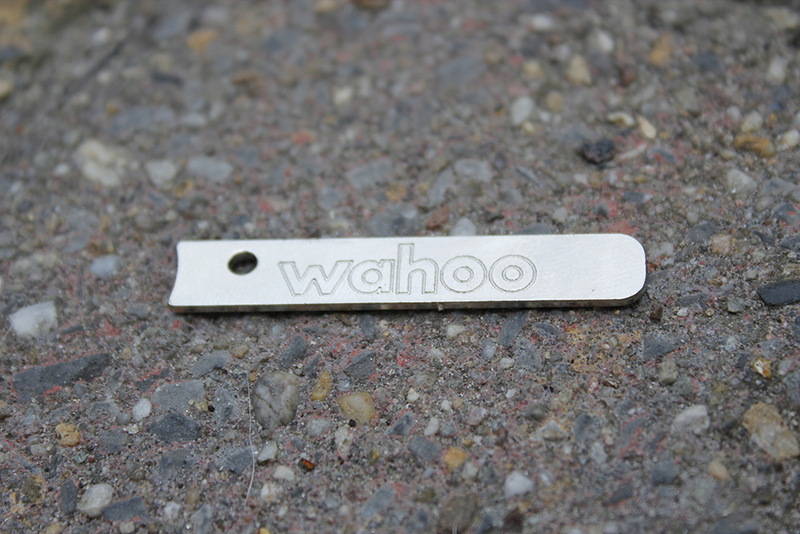 Replacing the battery is rather simple, inside the Wahoo RPM pack there was a mystery metal thingy. I first mistakenly confused it with a key chain, but I think it doubles as that. 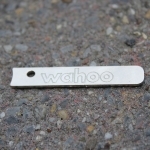 The small tool is actually to help you open up the Wahoo RPM. You can use a small coin too. Insert the tool or coin in the slot on it’s side, twist and voila, it pops right open. Inside you’ll find the battery and little else. I wonder what is actually in the device as it appears to be mostly air. Anyway, just pop in a new battery, squeeze the other half back on and your ready to go. Now, being a bit naughty I tried to take the sensor for a run and use it to track running cadence. I didn’t really have any luck. In theory, I believe it could work, it has an accelerometer and some electronics to do some algorithmic analysis and it should be able to do this too. But alas, maybe it’s too much to have a dual function in one machine, maybe the BT or ANT+ standards don’t allow for a device as I envisioned. So, it doesn’t work. For now. 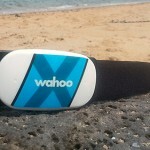 Who knows if Wahoo pushes out some new firmware to allow it in the future. After playing around with the Wahoo RPM, I really like it. It has made it really easy to just go on a weekend mountain biking, hire a bike and record what you’re doing. Or if you have multiple bikes, you only need to just buy one sensor. On top of that it’s a little cheaper than the Wahoo Blue SC. You can buy it directly from Wahoo (currently $65.95 + free worldwide shipping) or pick it up for $40 on Amazon. If you like my reviews and want to buy the Wahoo RPM, please use the links to do so. I get a little fee for your business. You can also use the links in the site’s side banner for your ‘everyday’ shopping! Thanks! nice. spelling quit/quite. usage for an indoor trainer which might need wheel-based speed. To be fair, speed on a turbo says nothing, as when you ride outside most resistance you get is from air. On your turbo you should work on power or otherwise HR if you want to do a decent session. PS with BLE/BTLE 4.1 (not 4.0) presumably it can pair to more than one Bluetooth device simultaneously? why mine fast no battery????? ?